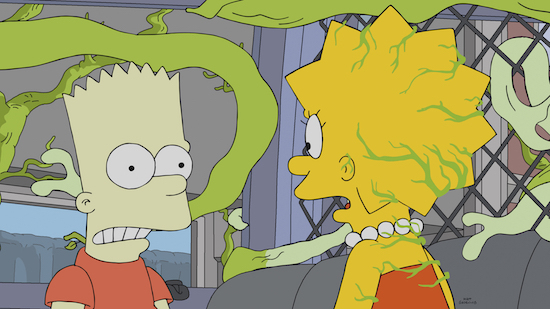 One of the best traditions of the year is here: THE SIMPSONS’ “Treehouse of Horror”! THE SIMPSONS: Homer wins an oyster-eating contest against the mythical Cthulhu, Springfield is overrun by plant body-snatchers, Lisa finally snaps and Mr. Burns opens a retirement home with some Jurassic upgrades in the all-new Halloween-themed “Treehouse of Horror XXIX” episode of THE SIMPSONS airing Sunday, Oct. 21 (8:00-8:30 PM ET/PT) on FOX. THE SIMPSONS ™ and © 2018 TCFFC ALL RIGHTS RESERVED.